The HFX Floating Ground Station is an extraordinary component that is included with all reference “Extended” bandwidth interconnect cables. TARA Labs proprietary ground station system is made of mil-spec aluminum alloy. Our specific metallurgical properties allow for the reduction of radio frequency interference (RF) and electromechanical resonance; EMI/RFI. It's 18.23% heavier and stronger than aircraft-grade stock. Equipped within the HFX station is a patented ceramic composite of metallic oxides and an amalgam of mineral elements in a proprietary ceramic binder called "Ceralex." Because the HFX functions completely outside of the signal path, its ability to dissipate and eliminate the effects of EMI/ RFI (Electromagnetic interference & Radio frequency interference) which also includes sonic distortion, noise, "snow", and lack of image clarity. 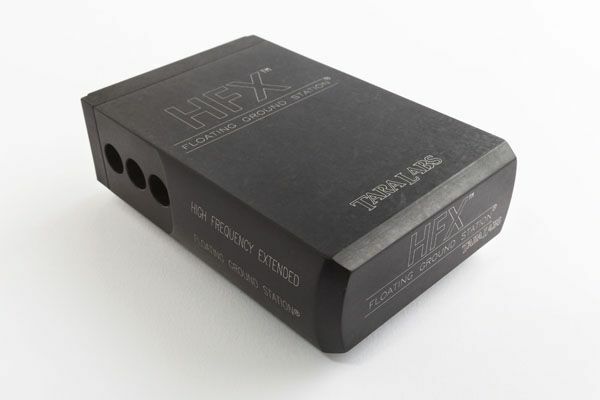 What the listener will hear using the HFX system is more high frequency extension, incredible details, tighter bass and full mid-range, including enhanced musicality and neutrality which are all signature characteristics of TARA labs high-end audio cables. 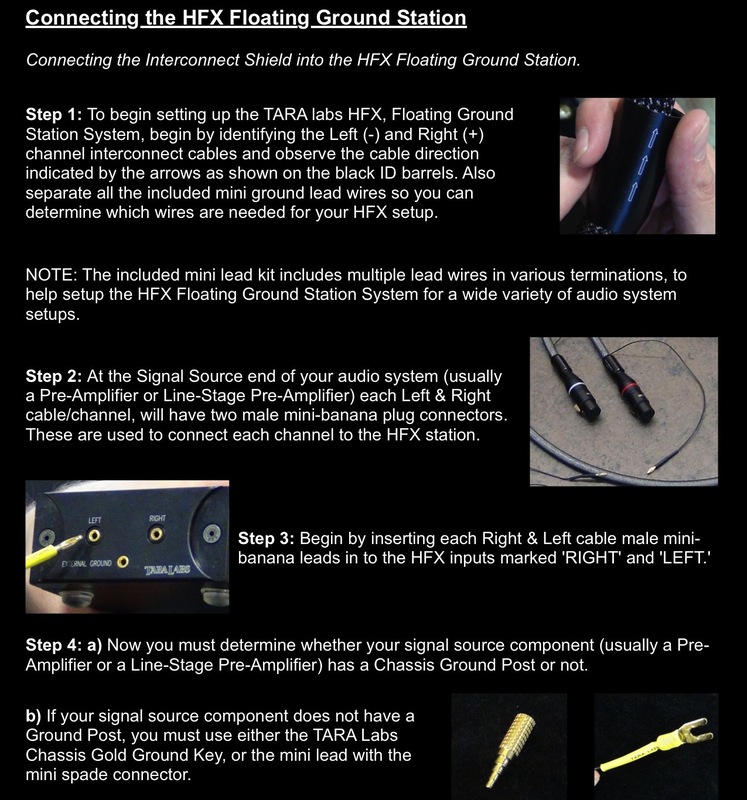 The HFX Floating ground Station System comes complete with a variety of mini banana & spade leads to connect it to virtually any component. The appearance of the HFX station is one of beauty and elegance, in addition to its superb performance. 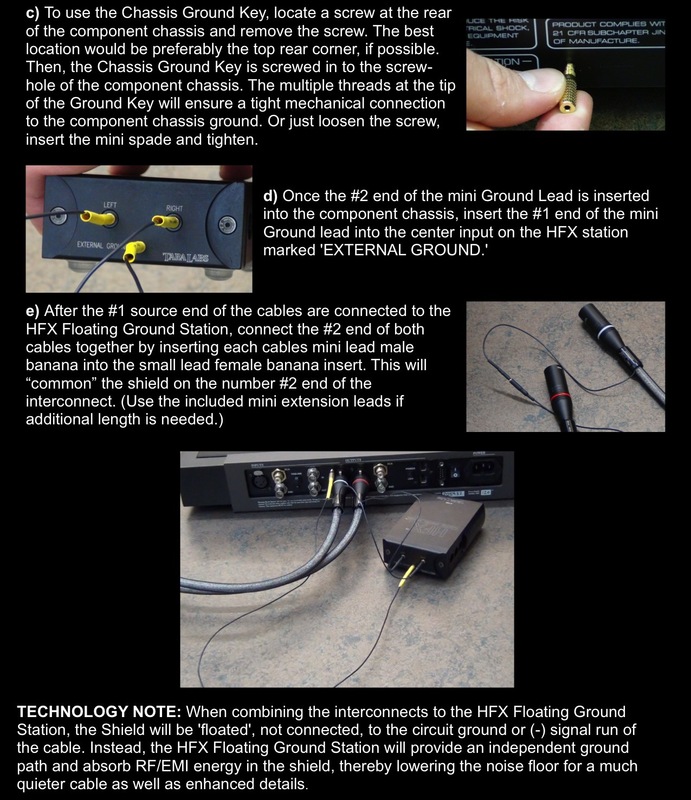 Click Here to view a printable PDF version of "How-to Connect the HFX Floating Ground Station"